In Hear This, A.V. Club writers sing the praises of songs they know well. This week, we’re talking about the songs we hate by bands we love. As a previous Inventory proved, it only takes one song to derail an otherwise flawless album. 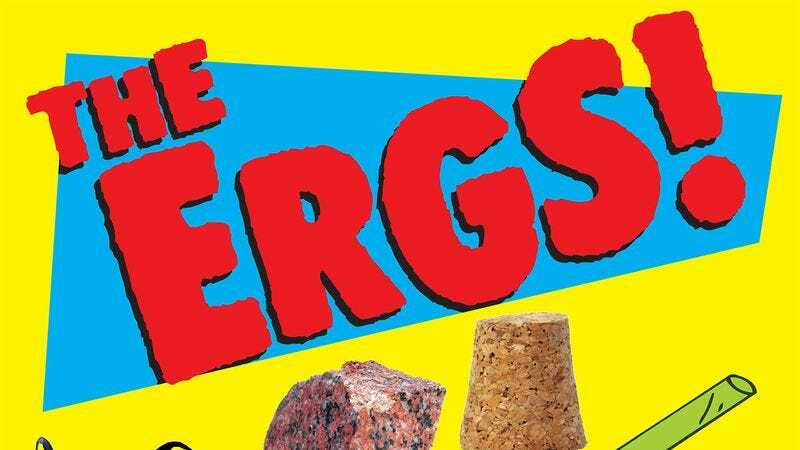 In the case of The Ergs’ full-length debut, DorkRockCorkRod, its proverbial “turd in the caviar” comes in the form of a 26-second joke-song placed in the album’s midsection. And though “Maybe I’m The New Messiah” isn’t necessarily a bad song, it’s an in-joke that only serves to disrupt the album’s otherwise seamless flow. On an album that set new highs for pop-punk, a genre that often works from a template, “Maybe I’m The New Messiah” is an extraneous callback to the Ergs’ early years. Formed by a trio of high school friends, the band’s early material was rightly juvenile but, as the band spent years honing its craft, its influence became artisanal. Songs that referenced Screeching Weasel also mentioned KRS-One; and one of the band’s most beloved songs would see vocalist Mikey Erg profess his love of reading Miles Davis biographies. On DorkRockCorkRod the band found a way to make pop-punk sound adult, a fact that’s all the more pronounced when “Maybe I’m The New Messiah” is excluded from playback. DorkRockCorkRod is proudly delicate, but “Maybe I’m The New Messiah” sees the band revert to the sophomoric Ergs of old. The song pays homage to The Young Ones’ actor Rik Mayall, and as bassist Joey Erg offers a hackneyed impression of the comedian you can almost hear the band’s puberty-induced acne sprout back up. It’s a shame that the track is shoehorned between the infinitely hummable “August 19th,” and ’60s Brit-rock homage of “Rod Argent,” but this all illuminates The Ergs importance: They may not have been afraid to inject humor into their otherwise thoughtful proceedings, they just needed a little help placing the punchline.